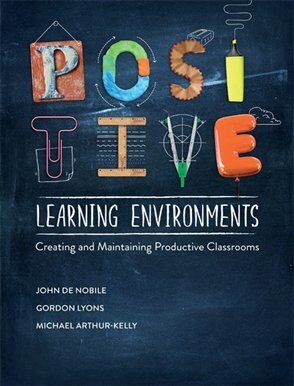 How do you create a learning environment that's productive; one where students are engaged, learning and happy? And how do you ensure that inappropriate behaviours are kept to a minimum? This exciting new text introduces the key concepts you need to know to create and maintain your classroom as a positive learning environment. It begins by introducing four essential components that are the cornerstones of creating a positive, productive learning environment. These positive practices will set you on the pathway to success and help you establish classrooms that recognise and encourage appropriate behaviours while reducing the probability of inappropriate behaviours. It then examines in turn each of the four main groups of evidence-based approaches to managing student behaviour: behavioural, cognitive behavioural, psychoeducational and social justice approaches. For each it discusses the theories that inform them, their practical applications for fostering appropriate behaviours and also when and how to use them to proactively intervene, if necessary. By the end you will be empowered to select appropriate theories, approaches and strategies and bring these together to develop your individualised classroom management plan: one that suits your own theoretical beliefs, professional philosophy and teaching style.